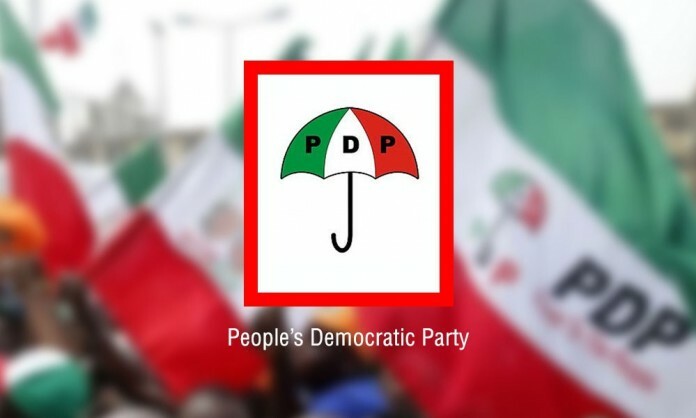 BEVERLY HILLS, March 20, (THEWILL) – The Peoples Democratic Party (PDP) has threatened to obtain a court order stopping the swearing in of all candidates of the All Progressives Congress (APC) “particularly President Muhammadu Buhari” following the court order stopping the collation of pending results of the Bauchi governorship election. THEWILL recalls that a Federal High Court in Abuja had given an ex parte order directing the Independent National Electoral Commission (INEC) to halt the collation of results from Tafawa Balewa local government area of Bauchi state in its ruling on a suit filed by Mohammed Abubakar, governor of the state who is of the APC. Reacting to the court ruling, the PDP via a statement by Kola Ologbondiyan, its spokesman, accused the APC of arm-twisting the judiciary over the election which he claims his party has won. “Our party should not be constrained into a situation in which we will have no option than to allow our members to seek similar ex parte orders to halt statutory processes including the swearing-in of APC candidates at various levels, particularly President Muhammadu Buhari. Meanwhile, the PDP has summoned an emergency National Executive Committee (NEC) meeting to deliberate on issues concerning the supplementary governorship elections slated for Saturday, March 23. The party would also use the opportunity to brief members on the Presidential election petition filed by its candidate, Atiku Abubakar earlier in the week.